It would be really nice of us to say that all babies are beautiful and adorable but look, nice isn’t the same as true. And everyone has seen at least one baby that more closely resembled a cheaply made toy than it did the future of humanity. So it only makes sense that going back in time, the babies looked even worse. Life was more grime and full of unexplained diseases, so of course, it was hard to be pretty then. It’s not that we hold it against those babies, it’s that we’re pointing out some really less than impressive artists. Sure, art has required tens of thousands of years to develop to the point it is now, but someone was paying these artists to hold a paintbrush. It just really seems like they barely had that skill down before they started painting these babies. So fine, maybe it was the adult's fault for portraying the baby in such a way that no one would want to post on their social media nowadays. Everybody wins! But most of all, we win because we get to live in the future (which is now, which doesn’t technically make sense but I bet someone from the 1600s would agree with me). It’s so nice that these ancient looking babies have someone to go through life being ancient and wrinkly with. If there was only one of them, only one baby would show up to the first day of pre-school dressed like a tiny nun! And that would be so confusing. Once you’ve got two babies, you’ve got a chance to dress them in matching baby robes and confirm to the world that you did in fact mean to dress your baby like a Mother Superior. Twins reaffirm that this was not a mistake and as the parent, you are in fact trying to make your baby look even more geriatric than they already did. We can’t throw photography under the bus like we would a medieval painter. Photography only reflects reality and the reality of this picture is that this baby has some haunted eyes and a really mean looking mouth. That baby probably has crazy stories to tell but I don’t know that I would hang out with them looking enough to get in that far. That baby would probably just yell, “you kids get off my yard” and despite the fact that I’m way older than a baby, I’d totally scurry off. How can a baby look like such an angry version of Clint Eastwood? Well, those were the old days I guess. I understand if this baby hasn’t had a chance to talk to Kim K about selfies and what exact lighting to seek out. There’s the fact that her classes sell out so fast and this baby was definitely born about a century before the invention of the word “selfie”. That said, it’s pretty obvious that this isn’t a great angle for anybody. Any angle that really makes it impossible to believe you possess a chin won’t make for a great picture. Even a Youtube vlogger with a few dozen follows could tell you that bit of wisdom. Sorry baby, this wasn't totally your fault. And on to a picture that’s everyone involved’s fault. That includes this woman’s dentist or lack thereof and whoever handed her that twig thing and the tree that this twig was snapped off from. How does that even work? Why can’t I look away? This picture looks like an ad for the most awkward story about vegan vampires and I really have no interest in knowing any of the context surrounding this. It’s such a weird painting I almost forgot that this little boy also happens to look diabolical, which is a wild coincidence. Oh, yikes. For the sake of everyone’s sanity, this child needs to be in bed well before sundown and she definitely can’t just wander the house after hours. Seeing the shadows glint off that face is enough to unsettle anyone. Granted the lighting in those days wasn't the best around. But regardless, this kid needs to do something to look less worrisome if she wants to just walk around. We saw those other twins and now we have the babies who look like they’re about to jump out of their skin. How do you even get that expression from a baby? It takes a veritable acrobatics show just to get a smile from a baby in line to check out at the grocery store. Did an actual skeleton take this photograph? How else do you get this level of jumpiness from an infant? The only silver lining to this photo is it was taken so long ago that we’ll never know. At the very least, an ocean of time lays between us and them. I’m no great visual artist, but even I’m concerned as to why no one in the middle ages could draw a set of human eyes without making them look like Steve Buscemi. Why are these eyes so heavily lidded? Look at any high schooler’s art portfolio and you’ll find half a dozen grey-and-white sketches of eyes. It’s because they’re fairly easy to do. These eyes are painted by someone who has never actually seen a human’s face before but was explained what it looks like. And then they zoned out halfway through the explanation and just went with their gut feeling. Their gut was wrong this time. Oh, oof. If you ever need proof that it’s a gigantic miracle to not have been alive in the ‘60s or ‘70s, look at this picture and just keep in mind that children’s pajamas weren’t even flame retardant. And if you were alive then, congrats! You made it this far without some mall Easter Bunny hunting you down. Yeah, this picture was taken in a time before seatbelts when it was okay for most adult men to have the most intense combovers. At least nowadays there are fewer toupees in the world. I mean, I hope so. I don’t really want to know otherwise if I’m wrong. Oh, isn’t it just terrific that we’ve woken up the spookiest child from the last century? Can those eyes just be a little bit smaller? I know babies have huge eyes to make adults love them and care for them, but there’s a point of diminishing returns. And we’ve found it just now. These eyes are dishes or platters, they’re full on automobile wheels. Turn it down a little bit. 11 Does Any Baby Have This Much Hair? If they do, run. Run fast and far away. I don’t care that the one baby who was born with a full head of hair looked like a hilarious tiny news anchor. It doesn’t matter that it’s statistically improbable to be born with helmet hair. It’s unnatural and I don’t like it. 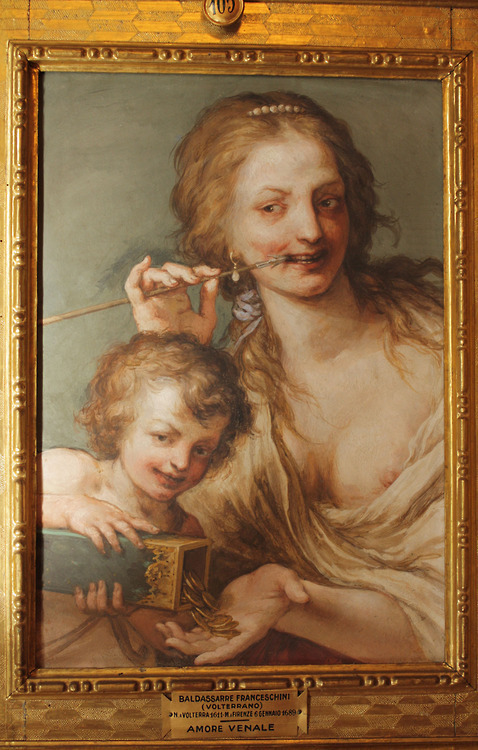 There’s a lot going on in this painting, mostly that it looks like it was painted on a slab of wood and then the paint melted, but mostly that baby has way too much hair going on. It’s just so thick! How does he not also have a unibrow? I don’t buy it. Wow, yet another picture I really don’t need to know the story behind. The story is undoubtedly five seconds away from the biggest, loudest, screamiest tears in a very public and contained space that there’d ever been up to this point in history. If there was a picture taken right after this one, the negative was gotten rid of because there was too much tantrum to handle. How can such a young baby already look like a federal judge? I swear this baby has a pension even though it most likely can’t walk. It’s just a sense I get. It really is crazy to know you’re looking at one-hundred-year-old tears. It feels like such a time commitment to sculpt such an ugly baby. Or rather, carve it out of stone. Why not give up by the time it’s obvious this mother is never ever going to have a chin? Her having a chin is just physically impossible so why then also take a stab at a baby’s face? These eyes really are ridiculous. I don’t know if this baby is laughing at his own really unimpressive joke or just peeing in the pool, but I don’t trust him. This is one issue that matching mom and baby outfits can’t fix. 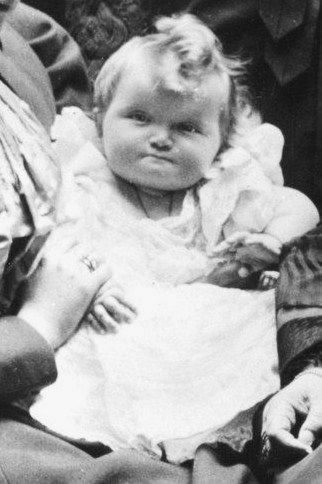 It’s really mean to say but this baby was a famously unfortunate looking baby in her day. She does objectively look like Cabbage Patch doll. She was also a royal baby so no worries, she was getting the best child care that existed in her day while the other 99% of her nation did not. But not everyone can have both looks and be super rich. Not even you, potato baby. I don’t even blame you if you didn’t notice the baby for the first few moments when that mother has the saddest trickle of dishwater blonde hair. What's more is how is the baby that small in proportion to everyone else? And why does he have branches growing from his head? That’s truly one strange baby, but he really is just living in the shadow of the two adults he’s with. Oh, boy does this one look like an unusable picture from some photo shoot way back in the ‘50s to advertise some laundry detergent. That baby looks as angry as the rash this product would probably leave you with. The thing is, the baby doesn’t just look upset. There’s some fire in that little baby's eyes. I really feel like this baby is about to get in a bar fight and even though I’m about ten times its height at the very least, I feel a little bit like running away. If this baby wasn’t so small, there’d really be no reason to assume he’s anyone’s child. Look at how old and adult his face is. Don’t they look more like co-workers than mother and child? He looks like he’s mansplaining how to use the copier. Really not a fan of this baby’s hair either. Sorry if that’s not fair and there’s plenty of other details to be upset over, but I’m not budging on my opinion. Okay, this baby is definitely conveying that he’s a dependent little blob in need of his mother’s care, but doesn’t it feel like he’s going a bit hard on the neediness? And what's male pattern balding or the little worm neck on the baby. Sorry to be so picky with my babies here, but between his mother’s claw-like hands and his very tiny head, I’m just not feeling this. Also, everyone else in this painting looks fairly normal. So what's this baby's excuse? It might just be the really unfortunate placement of that blotch on the photograph, but I don’t think this baby would look too great even with a little airbrushing. There’s no right filter for this poor dude. It could be the hesitant dislike in his eyes like he doesn’t know what he’s looking at but knows he doesn’t love it or the total absence of eyebrows. I really can’t choose which factor makes for the very alarming results. Actually, I’m sticking with eyes. He has the eyes of someone whose life has been less than satisfying. I really feel like if I was about to go to a bar and this baby were the bouncer, I’d probably be too freaked out and I’d leave. That’s the end of my story. This baby truly looks like a strong man from some circus besides probably not being strong enough to fully support her own mass. I am pretty into the hair though- who combed it like that? Is she a greaser? Can we all say this together- necks are not that difficult to draw! They’re pretty simple! Why are we adding all these rolls? Sure, I get mass and thickness being used to convey wealth and prosperity but this image doesn't show that. It's weird that out of all the things the artist could have gotten wrong, it ended up being the easiest thing to portray. And it's most especially surprising when his mother’s dress has some amazing pineapple pattern going on.